"God is perfect, He is faultless. And so, when Divine love becomes manifest in us in the fullness of Grace, we radiate this love --- not only on the earth, but throughout the entire universe as well. So God is in us, and He is present everywhere. It is God’s all-encompassing love that manifests itself in us. When this happens, we see no difference between people: everyone is good, everyone is our brother, and we consider ourselves to be the worst of men --- servants of every created thing." "The Lord is always waiting for us to unite ourselves with Him in love; but instead, we drift further and further away from Him. We know that there can be no life without love. This means that there is no life without God, for God is Love. But His love is not according to the understanding of the world. The love that the world gives us consists of suffering and enslavement, because the spirits of evil interfere with it. There is a little bit of love, but mostly it is just enslavement." "We know that the Lord, while in the flesh, was kind to all people, even those who persecuted Him --- Him, the Almighty God. He showed us how to avoid evil and not oppose it. He said so Himself [cf. Matt. 5:39]. Not opposing evil means preserving one’s inner peace. Opposing evil is evil; it involves a desire to return evil for evil, on which the fallen spirits thrive. However, when they attack us and find that we do not oppose them, then our peacefulness disarms them; and they are defeated. Therefore, we must try to always pray like this: ‘Lord, help me to preserve my inner peace, teach me to be calm and peaceful and kind, just like Thine angels." "When we talk to our fellow men and they tell us about their troubles, we will listen to them carefully if we have love for them. We will have compassion for their suffering and pain, for we are God’s creatures; we are a manifestation of the love of God. However, we often consider this a great burden; for we are oppressed by our own cares worries and weaknesses. " "As we take more concern for our neighbors’ cares and problems, they soon become our own. And our thoughts immediately become occupied with them. If we listen to our neighbor with only half our attention, of course we will not be able to answer them or comfort them. ... We are distracted. They talk, but we do not participate in the conversation; we are immersed in our own thoughts. But if we give them our full attention, then we take up both our own burden and theirs." "If we have a burden beyond our bearing, we must turn to the Lord immediately --- like this: ‘0 Lord, I cannot even bear my own infirmities, yet now I must bear the burden of so-and-so. I cannot cope with all this responsibility. I cannot do this myself, and - because I feel I have no desire to cope either - all this weighs even more heavily on my conscience. I wish to help my fellow man, but I don’t have the means. My neighbors think that I don’t want to help, and that is an additional burden to me." "All images reveal and make perceptible those things which are hidden. For example, a man does not have immediate knowledge of invisible things, since the soul is veiled by the body. Nor can man have immediate knowledge of things which are distant from each other or separated by place, because he himself is limited by place and time. Therefore the icon was devised that he might advance in knowledge, and that secret things might be revealed and made perceptible. Therefore, icons are a source of profit, help, and salvation for all, since they make things so obviously manifest, enabling us to perceive hidden things. Thus, we are encouraged to desire and imitate what is good and to shun and hate what is evil." Frequently he would visit us while we were working on our obedience tasks and would ask us if we were praying the Jesus Prayer or saying the salutations to Panagia. He rarely talked, and only then if it were necessary. But he was constantly praying. He had found a peaceful spot in a small forest behind his hut where he could raise his hands to heaven for hours at a time and so with joy communicated with Jesus privately in prayer. And if one were to ask him where he had been delayed, he would reply, “I was at Gethsemane’s Garden; that’s where I was.”"
"To be Orthodox means to have the God-man Christ constantly in your soul, to live in Him, think in Him, feel in Him, act in Him. In other words, to be Orthodox means to be a Christ-bearer and a Spirit-bearer." 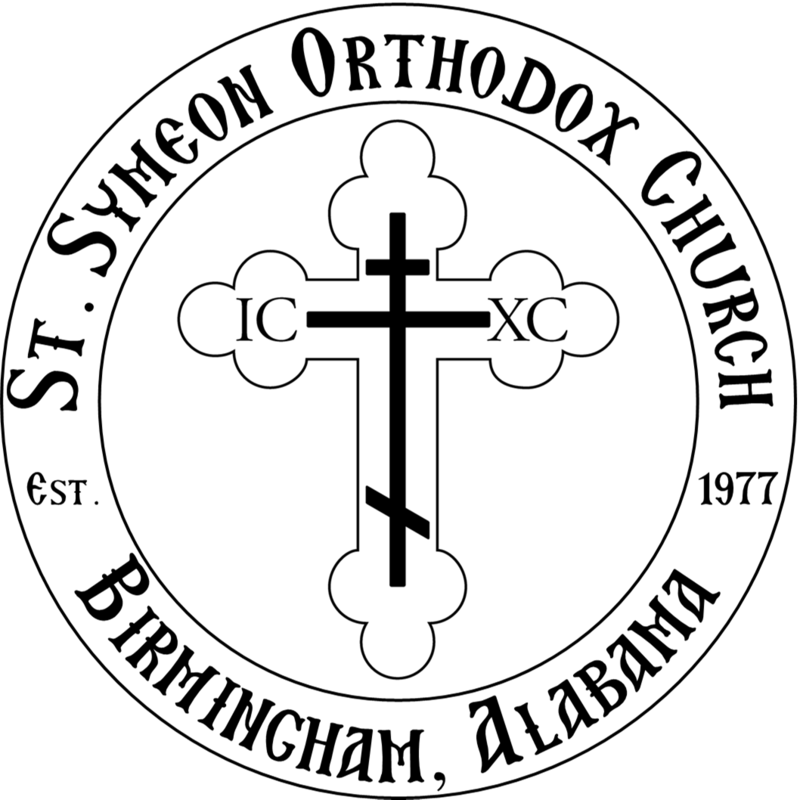 "All truths of Orthodoxy emerge from the one Truth and converge on one Truth, infinite and eternal. That Truth is the God-man Christ. If you experience any truth of Orthodoxy to its limit, you will inevitably discover that its kernel is the God-man Christ. In fact, all truths of Orthodoxy are nothing other than different aspects of the one Truth - the God-man Jesus Christ." Very few have flown up in a short time on the wings of faith and virtue into the spiritual heaven or have sensed in themselves the undying pledge of hope and the betrothal of future glory.... There are others who will never sense this during their whole life on earth; they will not sense it according to the dispensation of our heavenly Protector, God, who always provides what is best for us. For we, infants in our understanding of the judgments of Him that directs the world, often ask of Him such tools which in their own right and power are for our salvation, but we would put them to entirely detrimental use because of our inexperience. Therefore, the loving Father of lights hides from certain pious people the gifts which are for the salvation of some, but to others bring perdition. What would happen in God, Who knows all things, completely fulfilled our every wish? I think, but I'm not saying for certain, that everyone in the world would perish. Even though He does not reject the prayers of His chosen ones, God still does not at all times fulfill their desires. And this only in order to arrange everything in a better way, in keeping with His divine intent.... Just because you see yourself making no progress does not mean that you are not making any progress at all. Such feelings can plant sincere humility in your heart. And when you have the genuine awareness that you are deprived of spiritual fruit, then make an unfailing effort to force your striving for God.... When we have had no success in the virtues, there is no closer means for salvation than humbleness of mind. Haughtiness even when joined to the virtues is offensive to God; but a meek thought will not be forgotten before God." "The enjoyment of this present life, though it seems to give delight and sweetness, is well thrust from us. At the very moment of its being it ceases to be, and for our joy repays us with sorrow sevenfold. Its happiness and its sorrow more frail than a shadow, and, like the traces of a ship passing over the sea, or a bird flying through the air, quickly disappear. But the hope of the life to come which the Christians preach is certain and quite sure; howbeit in this world it has tribulation, whereas our pleasures now are short-lived, and in the beyond they only win us correction and everlasting punishment without release. For the pleasures of life are temporary, but its pain eternal; while the Christians labors are temporary but their pleasure and gain immortal. Therefore, right it is to exchange the corruptible for the incorruptible." "There is nothing better than peace in Christ, for it brings victory over all the evil spirits on earth and in the air. When peace dwells in a man's heart it enables him to contemplate the grace of the Holy Spirit from within. He who dwells in peace collects spiritual gifts as it were with a scoop, and he sheds the light of knowledge on others. All our thoughts, all our desires, all our efforts, and all our actions should make us say constantly with the Church: "O Lord, give us peace!" When a man lives in peace, God reveals mysteries to him.."